It is with deep regret that we have heard that Ted Janssen passed away on September 29, 2017 at the age of 81. Ted Janssen was professor of Theoretical Physics at Radboud University Nijmegen. He was a pioneer in the symmetry description of aperiodic crystals. In 1988 he received the Aminoff prize of the Royal Swedish Academy of Science and in 2014 the Ewald prize of the International Union of Crystallography. The Royal Swedish Academy of Sciences has decided to award the Gregori Aminoff Prize in Crystallography 2018 to Professor Piet Gros from Utrecht University in the Netherlands, “for his fundamental contributions to understanding the complement system-mediated innate immune response”. 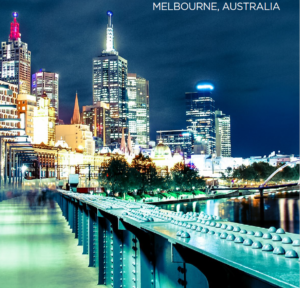 The 26th Congress & General Assembly of the International Union of Crystallography 2023 will be held in Melbourne, Australia. During the general assembly of the International Union of Crystallography, Melbourne has won their bid for the 26th IUCr meeting in 2023. The venue will be the Melbourne Convention & Exhibition Centre (MCEC), on the banks of the Yarra River. The proposed dates are 22-29 August 2023. Please check out the Events page of this site. Next to a varied program of lectures there is an excursion to the Reactor and to PEARL, the new Neutron powder diffractometer. Please check out the program here. You can no longer register. Space Application Services is bezig met de ontwikkeling van een kristallisatie- en X-ray lab in de ruimte en is op zoek naar nieuwe kristallografische toepassingen. Kijk hier voor meer informatie. Space Application Services is working on the development of a crystallization and X-ray lab in space and is looking for new crystallographic applications. Look here for more information . Dit weekeinde bereikte ons het bericht dat op 16 juli jl. Dr. Hugo M. Rietveld na een kort ziekbed is overleden. Een beschrijving van zijn werk en van de enorme invloed van de Rietveld methode op de kristallografie in het algemeen en de poederdiffractie in het bijzonder vindt u hier. We look back on a great NVK Structural Biology Symposium: “New Horizons in Structural Biology”. You can check the program and the links to the abstracts here.